LoL, Dota 2, CS:GO, Heroes of the Storm, Street Fighter V and more! Dota 2 continues to headline the world of esports this week as The Summit 7 saw Virtus.pro take the title, while on the other side of the Pacific in Shenzhen, China, Newbee won Galaxy Battles.The drama doesn’t stop there, as there’s plenty of action from the Dota 2 International 7 Open Qualifiers to the League of Legends LCS. We even have the CS:GO Esports Championship Finals to look forward to. All the details on this weekend’s events can be found below. Immortals continued to dominate the competition in week three and the introduction of Xmithie has only heightened their performance on the Rift. Team Liquid didn’t stand a chance as they were quickly crushed in a 2-0 sweep, which gave Immortals the confidence to reverse sweep Cloud9. Immortals aim to continue their dominance during their week four matches against Counter Logic Gaming and Team Dignitas. With their solid teamwork and excellent macro play, Immortals are ready for the challenges that lay ahead, but we shall have to see whether they can claim the top spot. The full schedule and stream can found by heading over to lolesports.com. Misfits shed its underdog status last weekend when they managed to secure a 2-1 victory against G2 Esports in their week three series. Jungler Nubar "Maxlore" Sarafian got Misfits ahead as Lee Sin, giving first blood over to mid laner Tristan "PowerOfEvil" Schrage's Orianna during the first three minutes. Maxlore continued to ramp up the pressure throughout the first game and Misfits finished game one off with a powerful teamfight from PowerOfEvil. Misfits eventually took the series in game three thanks to another dominant showing from Maxlore’s Lee Sin. Misfits now find themselves at the top of the Group A standings and they will be aiming to continue this success when they face Team Vitality today. The full schedule and stream can found by heading over to lolesports.com. The esports championship series season three finals are taking place at Wembley Arena today, where eight teams from around the globe will duke it out for the $660,000 prize pool and the champions' title. The event will see a double-elimination group stage, followed by single-elimination, best-of-three play-offs stage. The group stage matches will be best-of-one match-ups, whilst elimination and decider matches will be best-of-three. FaZe Clan and OpTic Gaming are kicking off the group stage today at 04:15 PDT / 13:15 CEST, while the elimination and deciders start tomorrow at 03:15 PDT / 12:15 CEST. The tournament will be streamed live on www.youtube.com/faceit. Overwatch Apex Season three continues to heat up as the qualified teams from each group continue to battle it out against one another. The finals are fast approaching and every team will be trying to claim the $177,055 prize pool. Today’s match will see X6-Gaming take on Team EnVyUs at 03:00 PDT / 12:00 CEST, while the Group B match between LW Blue and Lunatic Hai starts at 04:30 PDT / 13:30 CEST. Make sure to check out the full stream over on Twitch. The Hearthstone Global Games tournament enters week 11 of play today and every team has been fighting hard to claim the top spot in the group stage. Half the teams from the original 48 have now been knocked out and the groups have been reseeded ready for the round robin stage. Group C’s round five match concluded yesterday for US viewers, but those of you in Europe can catch all the action today at 03:00 CEST. It’s a long road ahead for the pros and every team will be fighting hard to secure the $300,000 prize pool in phase two of the tournament. The full schedule and stream for week four can be found here. Hearthstone’s seatstory cup begins today and 32 of the best Hearthstone players will gather at Krefeld, Germany to participate in the tournament. Hearthstone pros Frodan, Impact, Maverick and RDU will be present at this year’s tournament, but only the strongest will have a chance to claim the $20,000 prize pool and the seatstory cup. Today’s match will see Ostkaka and Reckful kick off the Group E bracket at 04:05 PDT/ 13:05 CEST, followed by RDU vs. Pavel at 05:20 PDT / 14:20 CEST. The full schedule and stream can be found by heading over to seatstorycup.com. Phase two of the HGC is well underway and teams from around the world will continue to battle it out for the $425,000 USD prize pool. Fnatic will be aiming to continue their Mid-Season Brawl success and claim a top spot in phase two of the tournament. Every team will have their eyes firmly set on the next Western Clash in August, but only those who can remain focused and remain strong under the pressure will have a chance at taking the title. Make sure you head over to heroesofthestorm.com to find the schedule and stream for all the matches being played this weekend. 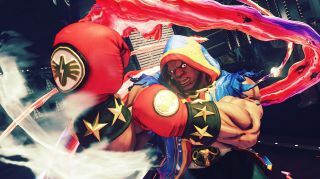 The next stop in the 2017 Capcom Pro Tour season takes us to Bogotá, Colombia for The Fight 2017. Top players like Brazil's Brolynho and Dominican Republic's MenaRD will be in attendance as well as other top regional players. Flash from the USA will also be competing, so be sure to tune in to the live stream over on Twitch to watch all the combo chaos. The matches start tomorrow at 12:00 PDT / 21:00 CEST and continue throughout the day.